Serving Danbury, Easton, Fairfield, Milford, Monroe, Redding, Shelton, Stratford, Southport, Trumbull, and Bridgeport, where the club was founded circa 1924. At the most recent Dartmouth Club and Group Officers Weekend (CAGOW) held January 23-24 in Hanover, our club was honored as the Small Club of the Year for the second year in a row! The award was accepted by Alice Becker DW48, Eric Jenkins ’99, Arlene Johnson DW59 and Sara Potter ’91. Our club was recognized for our strong dues participation, our record of interviewing 100% of our district’s applicants, our work with the BPEF and our creativity in events (wine tasting!). At the recent Dartmouth Club and Group Officers Weekend (CAGOW) held February 7-9 in Hanover, NH, our club was honored as the Small Club of the Year! The award was accepted by Eric Jenkins ’99; Treasurer, Arlene Johnson DW59; Monthly Luncheon Chair and Sara Potter ’91; President. Our club was recognized for our strong dues participation, our record of interviewing 100% of our district’s applicants, and our creativity in events. Welcome to the Dartmouth Club of Eastern Fairfield County, Connecticut where we share our love of Dartmouth College with our community! If you are on Facebook, you can join our group! Our official group name is “Dartmouth Club of Eastern Fairfield County,” and we will post information about upcoming events with reminders. Thank you to all our Alumni interviewers! We need more volunteers to help out—it doesn’t require a big time commitment, and it is a great way to give back to the College. Anyone interested in participating in alumni interviews please contact our District Enrollment Director, Gabrielle Guise. gabrielle.guise@gmail.com or 203-256-1558. DCEFC Annual Dinner: : Friday, May 29, 2015 at 6:00 p.m.
Mark your calendars now! This year our annual meeting and dinner will be held on Friday, May 29 at the Fairfield County Hunt Club in Westport (174 Long Lots Road), with cocktails (cash bar & hors d’oeuvres) starting at 6:00p.m. and dinner at 6:45p.m. Cost is $55 per person. RSVP by May 22 to Eric Jenkins '99..
Our guest speaker will be Nathaniel J. Dominy, Professor of Anthropology and Biological Sciences at Dartmouth. The topic of Prof. Dominy’s talk will be “Evolution of the Human Diet: Paleodiet or Paleofantasy?” His research is focused on the origin and evolution of primate foraging behaviors. His talk will address how human foragers meet nutritional requirements, and the implications of male hunting behaviors on popular conceptions of dietary optima. All are welcome to join us at 10:30am on Sunday, May 17 for a fun stroll around Penfield Beach in Fairfield. Bring the whole family (but leave the dog at home)—there is even a playground for the kids. We'll provide the snacks and beverages, so please RSVP to Sara Potter at sara_burbine@yahoo.com or 254-9331. DCEFC monthly luncheons are held on the third Wednesday of every month. Upcoming dates: May 20, June 17, and July 15. The luncheons, which generally attracting about a dozen attendees, will be held at the Hunt Club in Westport. Special thanks to Gabrielle Guise for hosting us at the Hunt Club. Check with Arlene Johnson or Alice Becker to find out if there has been a change in location. Reservations required in advance by 5:15 p.m. the day before by calling Arlene Johnson at 259-5323 or e-mail at Thejohnsons2@aol.com, or Alice Becker at Alicesouthport@aol.com. DCEFC monthly luncheons are held on the third Wednesday of every month. Upcoming dates: December 17, January 21, and February 18. The luncheons, which have been attracting about a dozen attendees lately, will be held at the Hunt Club in Westport. A special “thank you” goes out Gabrielle Guise for hosting the Club. Check with Arlene Johnson or Alice Becker to find out if there has been a change in location. Reservations required in advance by 5:15 p.m. the day before by calling Arlene Johnson at 259-5323 or e-mail at Thejohnsons2@aol.com. Mark your calendars now! This year our festive holiday event will be held on Sunday, December 7th at the home of Kathy ’83 and Russ Mitchell ’85, 210 Cobbler's Hill Road in Fairfield. The party will run from 4:00 to 7:00 p.m., and a donation of $5 per person will be collected at the door for the club’s scholarship fund. Please bring an appetizer of your choice. The party will feature an a cappella performance by the Dartmouth Brovertones. Children are welcome. RSVP to (203) 256-1530 or kathym@mitchells.com. Our friends at the Dartmouth Club of Fairfield County are including our club in their annual holiday concert on Wednesday, December 10 from 7-9p.m. The party will be held at Richards of Greenwich, 359 Greenwich Avenue, Greenwich CT 06830, with performances by the Dartmouth Aires and Rockapellas. The cost is $25 per person for DCFC or DCEFC members, $30 for non-members, payable at the door via cash or check made out to DCFC. The party will feature wine and other beverages plus hors d’oeuvres. RSVP to (203) 637-0875 or DCFC@Dartmouth.org. Please include the names and number of people for your group when you RSVP. Join us on Friday, March 7, 2014 from 7-9p.m. for the 4th annual Dartmouth Club wine tasting event. Hosted by DCEFC President, Nicky Schmidt ’94, who holds a Wine MBA from the University of Bordeaux, you will be led through a wine tasting and food pairing of six different varietals, red and white. Cost for the tasting is $20 per person, which can be paid by check made out to 'Nicole Schmidt' and mailed to her home at 140 Milford Point Road, Milford 06460, or given directly to her at the holiday party. Advance signup and payment by February 28h is required for this event. Questions? Contact Nicky at (203) 283-3715 or email nickyschmidt@gmail.com. "Sticks and Stones: Defeating the Culture of Bullying and Rediscovering the Power of Character and Empathy"
Monday, March 2, 2015 at 8 p.m.
Emily Bazelon is the author of the national bestseller Sticks and Stones: Defeating The Culture of Bullying and Rediscovering the Power of Character and Empathy. She is a senior editor at Slate Magazine, a contributing writer at The New York Times Magazine, and the Truman Capote Fellow for Creative Writing and Law at Yale Law School. She is also a frequent guest on The Colbert Report and has appeared on PBS NewsHour, Morning Joe, Fresh Air, Morning Edition, and All Things Considered. Men’s Hockey December 5 Quinnipiac Hamden 7p.m. Women’s Hockey January 2 Yale New Haven 7p.m. Women’s Hockey January 31 Quinnipiac Hamden 4p.m. Mark your calendars now! This year our annual meeting and dinner will be held on Friday, May 30 at the Birchwood Country Club in Westport (25 Kings Highway South, Westport CT 06880), with cocktails (cash bar & hors d’oeuvres) starting at 6:00p.m. and dinner at 6:45p.m. Cost is $55 per person. Please RSVP by May 23 to Eric Jenkins. 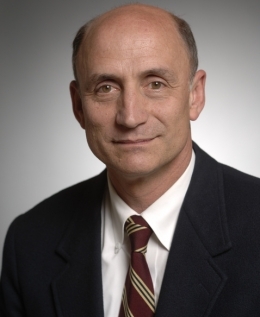 Our guest speaker will be Gregg Fairbrothers ’76, adjunct professor at the Tuck School of Business at Dartmouth. Prof. Fairbrothers served as founding director of the Dartmouth Entrepreneurial Network (DEN) and founding chair of the Dartmouth Regional Technology Center. He will discuss entrepreneurship as the new fashion - from student hackathons, to bootcamps and curricula, to incubators, accelerators, co-working spaces in cities and towns globally. But is entrepreneurship really all that new? What is entrepreneurial thinking anyway, and why is it valuable? We'll talk about how we see this at Dartmouth, why we think it's valuable, where this fits in President Hanlon's vision for tomorrow's Dartmouth, and what we are doing about it today. DCEFC monthly luncheons are held on the third Wednesday of every month. Upcoming dates: May 21, June 18, and July 16. The luncheons, which have been attracting about a dozen attendees lately, will be held at the Hunt Club in Westport. Special thanks to Gabrielle Guise for hosting us at the Hunt Club. Check with Arlene Johnson or Alice Becker to find out if there has been a change in location. Reservations required in advance by 5:15 p.m. the day before by calling Arlene Johnson at 259-5323 or e-mail at Thejohnsons2@aol.com, or Alice Becker at Alicesouthport@aol.com. According to the online Dartmouth sports schedule, the only upcoming event in our area this spring is a big one, the Ivy League Heptagonal Outdoor Track and Field Championships. The two-day event will take place this year on Saturday, May 10 and Sunday, May 11 in New Haven at Yale University. You might even have a chance to cheer on running phenom Abbey D’Agostino ’14. For more information on this meet, go to http://www.ivyleaguesports.com. For information on more Dartmouth sporting events, go to www.dartmouth.edu/athletics. DCEFC Wine Tasting – New Location! Join us on Friday, March 14, 2014 from 7-9p.m. for the 3rd annual Dartmouth Club wine tasting event. The last two events have proven to be increasingly popular, with 14 attendees last March. For our next gathering, we are changing the location to the Wine Makers Boutique, 2505 Main Street, Stratford CT (203) 923-8982. The cost is $6 per person, and we ask that everyone bring an appetizer or dessert to share. RSVP by March 7 to Sara Potter at sara_burbine@yahoo.com or (203) 254-9331. For more information, visit http://thewinemakersboutique.com/. DCEFC Holiday Party – New Location! The annual DCEFC holiday party will be held on Sunday, December 8 at the home of Dr. Jeffrey Owens ’92 and Deb Karazin Owens ’91, in Fairfield. The party will run from 2-4:30 p.m., and a donation of $5 per person will be collected at the door for our scholarship fund. The party will feature an a cappella performance by the Dartmouth Rockapellas. Children are welcome. RSVP to djowens@optonline.net. Please bring an appetizer of your choice. * The Owens family requests that foods have no nuts, as their daughter is highly allergic. Our friends at the Dartmouth Club of Fairfield County are including our club in their annual holiday concert on Wednesday, December 11 from 7-9p.m. The party will be held at Richards of Greenwich, 359 Greenwich Avenue, Greenwich CT 06830, with performances by the Dartmouth Aires and Rockapellas. The cost is $25 per person for DCFC or DCEFC members, $30 for non-members, payable at the door via cash or check made out to DCFC. The party will feature wine and other beverages plus hors d’oeuvres. RSVP to (203) 637-0875 or DCFC@Dartmouth.org. Please include the names and number of people for your group when you RSVP. Please join us for a special evening of Outer Space at The Discovery Museum and Planetarium. 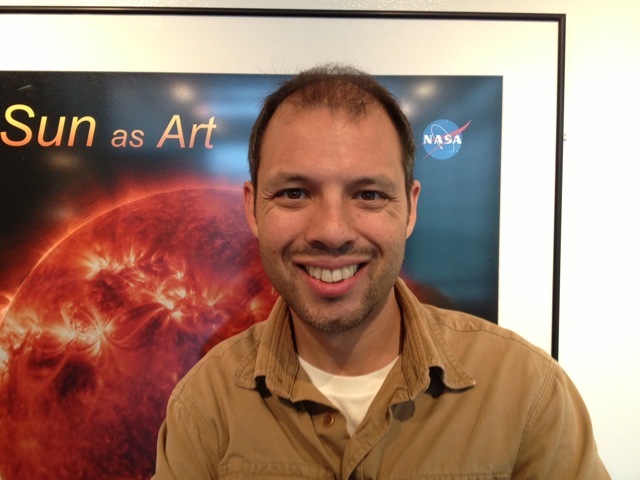 David Mestre, Director of Space Science Education at The Museum (B.A., Astronomy and Astrophysics, Harvard University; M.S., Physics and Astronomy, University of Pennsylvania), will give a lecture on outer space and a demonstration of our newly-refurbished Challenger Learning Center, which opens in September. Weather-permitting, David will bring out our high-powered telescopes to give guests a novel viewing of the night sky. Wine and cheese will be served. The Discovery Museum and Planetarium is opening the newly-refurbished Challenger Learning Center in September. The Challenger Learning Center at The Discovery Museum is part of an internationally acclaimed Network located at 48 sites throughout the United States, Canada, the United Kingdom, and South Korea. Challenger uses state-of-the-art, innovative educational simulators. At the core of the Center is a two-room simulator, consisting of a Space Station and Mission Control. Visitors become astronauts, engineers, and scientists in order to complete their mission. The crew uses navigational skills, builds a probe, and works at various stations including life support, robotics, and communication. This year our annual meeting and dinner will be held on Friday, May 31 at the Fairfield County Hunt Club in Westport (174 Long Lots Road), with cocktails (cash bar & hors d’oeuvres) starting at 6:00p.m. and dinner at 6:45p.m. Cost is $50 per person. RSVP by May 24 to Eric Jenkins email jenkine@gmail.com or 203-516-1207. Our guest speaker will be Drew Galbraith, Senior Associate Athletics Director for Peak Performance at Dartmouth. When Dartmouth Peak Performance (DP2) was initiated two years ago, then-President Jim Yong Kim stated, "We think that by bringing together the focus on our student-athletes' academic performance, athletic performance and also on personal areas like leadership and personal wellness, we can not only get them to their highest possible potential as athletes, but prepare them for life in ways that are extremely important." The program is initially focused on Dartmouth’s varsity student-athletes, but eventually the program is expected to expand to include club sport and recreational athletes. Drew will fill us in on the progress of DP2, and we’ll hear about the magical powers of chocolate milk. To learn more about DP2, visit http://www.dartmouthsports.com/. All are welcome to join us at 10:30am on Sunday, May 19 for a fun stroll around Lake Mohegan in Fairfield. Children and dogs are welcome—there is even a playground if little ones get tired of hiking! We'll provide the snacks and beverages, so please RSVP to Sara Potter at sara_burbine@yahoo.com or 254-9331. DCEFC monthly luncheons are held on the third Wednesday of every month. The luncheons, which have been attracting about a dozen attendees lately, will be held at the Hunt Club in Westport. A special “thank you” goes out Bradley Morehouse for hosting the Club. Check with Arlene Johnson or Alice Becker to find out if there has been a change in location. Reservations required in advance by 5:15 p.m. the day before by calling Arlene Johnson at 259-5323 or e-mail at Thejohnsons2@aol.com. The Dartmouth Entrepreneurial Network of Connecticut and the Stamford Innovation Center are proud to announce an exciting event on Thursday, May 2nd: a fireside chat with Steve Hafner D'91, founder and CEO of Kayak.com (recently sold to Priceline.com for $1.8BN!). Join us for an evening of Q&A with one of Dartmouth's most successful entrepreneurs, and enjoy food, drinks, good conversations, and networking. Also, we will be raffling off some great items donated by Vineyard Vines, as well as an amazing Tuck-branded formal wear tie set from Global Neckwear. Parking is available in the mall parking garage across the street, or in metered spaces around the center. Mark your calendars now! This year our festive holiday event will be held on Sunday, December 9th at the home of Kathy ’83 and Russ Mitchell ’85, 210 Cobbler's Hill Road in Fairfield. The party will run from 4:00 to 7:00 p.m., and a donation of $5 per person will be collected at the door for the club’s scholarship fund. Children are welcome. RSVP to (203) 256-1530 or kathym@mitchellstores.com. Please bring an appetizer of your choice. We’re hoping to have a current Dartmouth a cappella group perform. Stay tuned for details! Our friends at the Dartmouth Club of Fairfield County are including our club in their annual holiday concert on Tuesday, December 11 from 7-9p.m. The party will be held at Richards of Greenwich, 359 Greenwich Avenue, Greenwich CT 06830, with performances by the Dartmouth Aires and another group TBD. The cost is $25 per person for DCFC or DCEFC members, $30 for non-members, payable at the door via cash or check made out to DCFC. Includes wine and other beverages plus hors d’oeuvres. RSVP to (203) 637-0875 or DCFC@Dartmouth.org. Please include the names and number of people for your group when you RSVP. Join us on Friday, March 1, 2013 from 7-9p.m. for the 2nd annual Dartmouth Club wine tasting event. Last year’s was a great success. As Arlene Johnson was quoted as saying, “It was a superb evening full of wonderful food and wine!” Hosted by DCEFC 2nd Vice President, Nicky Schmidt ’94, who holds a Wine MBA from the University of Bordeaux, you will be led through a wine tasting and food pairing of 6 different varietals, red and white. Cost for the tasting is $20 per person, which can be paid by check made out to 'Nicole Schmidt' and mailed to her home at 140 Milford Point Road, Milford 06460, or given directly to her at the holiday party. Advance signup and payment by February 25th is required for this event. Questions? Contact Nicky at (203) 283-3715 or email nickyschmidt@gmail.com. The annual dinner will be held on Thursday, May 3 at the Patterson Club in Fairfield (1118 Cross Highway), with cocktails (cash bar & hors d’oeuvres) starting at 6:00p.m and dinner at 6:45p.m. RSVP by April 26 using the response form in the newsletter. Our guest speaker will be Rosi Kerr ‘97, the Director of Sustainability at Dartmouth College. Rosi will speak about the latest strategies and projects that Dartmouth is developing to make the College a green leader (including the Class of 1978 Life Sciences Center) and to put sustainability at everyone’s fingertips. The four club officers who attended Club Officers’ weekend in February had a chance to hear Rosi speak about Dartmouth’s sustainability initiative, and we learned that sustainability is about much more than recycling and turning off the lights. The Big Green Bus comes to Fairfield! DCEFC monthly luncheons are held on the third Wednesday of every month. Upcoming dates: April 18, May 16 and June 20. Future locations to be determined (recently the group has been at the Fairfield County Hunt Club, 174 Long Lots Road, Westport). Reservations VERY strongly recommended in advance but at least by 5:15 p.m. the day before by calling Arlene Johnson at 259-5323 or e-mail at Thejohnsons2@aol.com. DCEFC monthly luncheons are held on the third Wednesday of every month. Upcoming dates: December 21, 2011 January 18, and February 15. Future locations to be determined (recently the group has been at the Fairfield County Hunt Club, 174 Long Lots Road, Westport). Check with Bob to find out the current location. Reservations VERY strongly recommended in advance but at least by 5:15 p.m. the day before by calling Bob Johnson '59 at 259-5323 or e-mail at Thejohnsons2@aol.com. New!!!!! FRIDAY, MARCH 9, 2012 7:00-9:00pm. Join us on Friday, March 9, 2012 from 7-9p.m. for the inaugural Dartmouth club wine tasting event. Hosted by DCEFC Vice President, Nicky Schmidt, who holds a Wine MBA from the University of Bordeaux, you will be led through a wine tasting and food pairing of 6 different varietals, red and white. Cost for the tasting is $20 per person, which can be paid by check made out to 'Nicole Schmidt' and mailed to her home at 140 Milford Point Road, Milford 06460, or given directly to her at the holiday party. Advance signup and payment by March 4 for this event. Questions? Contact Nicky at (203) 283-3715 or email nickyschmidt@gmail.com. Nationally recognized best-selling author, humorist, educator, essayist, blogger, feminist, and sometimes stand-up comedienne, Gina Barreca ‘79, makes an exclusive stage appearance at 6 p.m. on Sunday, March 4, 2012 at Fairfield University's Regina A. Quick Center for the Arts. Discount tickets for $15 will be available when patrons use the code GINA at www.quickcenter.com or call the box office at (203) 254-4010. Anyone who has heard Gina in the past knows what an entertaining and intelligent speaker she is. Please come to what promises to be a special evening! Our friends at the Dartmouth Club of Fairfield County are including our club in their annual holiday party on Wednesday, December 14 from 7-9p.m. The party will be held at Richards of Greenwich, 359 Greenwich Avenue, Greenwich CT 06830, with performances by the Dartmouth Aires and the Dartmouth Decibelles. The cost is $25 per person for DCFC or DCEFC members, $30 for non-members, payable at the door via cash or check made out to DCFC. Includes wine and other beverages plus hors d’oeuvres. RSVP to (203) 637-0875 or DCFC@Dartmouth.org. Please include the names and number of people for your group when you RSVP. The DCEFC Welcomes the BIG GREEN BUS to Fairfield!!! 13 Dartmouth College students on the great American road trip with a purpose. We are traveling the country on our 1998 MCI coach bus converted to run on waste vegetable oil and outfitted with solar panels, talking about sustainability. Our mission is to help create a future that sustains people, the environment, and the economy. We promote awareness and enthusiasm for sustainability through the sharing of information and innovation. Westport CT 06880), with cocktails (cash bar) starting at 6:00p.m. and dinner at 6:45p.m. RSVP by May 6 to Sara Potter Cost is $50 per person. Our guest speaker will be Jennifer Lind, Assistant Professor in the Department of Government, Dartmouth College. She received a Ph.D. in Political Science from the Massachusetts Institute of Technology, a Master's in Pacific International Affairs from the University of California, San Diego, and a B.A. from the University of California, Berkeley. Professor Lind is the author of Sorry States: Apologies in International Politics, a book that examines the effect of war memory on international reconciliation (Cornell University Press, 2008). She has also authored scholarly articles in International Security and Pacific Review, and has written for wider audiences within the Atlantic and Foreign Policy. Professor Lind has worked as a consultant for RAND and for the Office of the Secretary, U.S. Department of Defense, and has lived and worked in Japan. Her current research interests include the resilience of the North Korean regime, planning for U.S. military missions in the event of North Korean collapse, energy competition and its security implications for East Asia, and democratization and stability in East Asia. President Kim is Coming to Fairfield County! it’s our turn! President Kim will be in Stamford Connecticut on Tuesday, December 7th at the Hilton Stamford Hotel, 1 First Stamford Place. The cocktail reception starts at 5:30p.m, and the program at 6:30p.m. To sign up for this great event go to http://alumni.dartmouth.edu/clubs/presidentevents, email Club.RSVP@Alum.Dartmouth.ORG or telephone (603) 646-3497. Mark your calendars now! This year the event will be held on Sunday, December 12th at the home of Kathy ’83 and Russ Mitchell ’85 in Fairfield, Connecticut. Special guest appearance by the Dartmouth Decibelles! The party will run from 4:00 to 7:00 p.m., and a donation of $5 per person will be collected at the door for the club’s scholarship fund. Children are welcome. RSVP to (203) 256-1530 or email Kathy. Please bring an appetizer of your choice. Our friends at the Dartmouth Club of Fairfield County are including our club in their annual holiday party on Wednesday, December 15 from 7-9p.m. The party will be held at Richards of Greenwich, 359 Greenwich Avenue, Greenwich CT 06830, with performances by the Dartmouth Aires and the Dartmouth Decibelles. The cost is $25 per person for DCFC or DCEFC members, $30 for non-members, payable at the door via cash or check made out to DCFC. Includes wine and other beverages plus hors d’oeuvres. RSVP to (203) 536-9946 or DCFC@Dartmouth.org. Please include the names and number of people for your group when you RSVP. DCEFC monthly luncheons are now being held at the Fairfield County Hunt Club, 174 Long Lots Road, Westport. Upcoming dates: November 17, December 15, and January 19. Reservations VERY strongly recommended in advance but at least by 5:15 p.m. the day before by calling Bob Johnson '59 at 259-5323 or e-mail at Bob. Save the Date for the Annual Dinner! New Location! Our guest speaker will be Prof. Bill Roebuck, PhD, a professor with over 35 years of teaching experience at the College and the Medical School. An expert on environmental studies, pharmacology and toxicology, Prof. Roebuck’s job titles include Professor of Toxicology at Dartmouth Medical School, Adjunct Professor of Environmental Studies, and Director of the Africa Foreign Studies Program. Prof. Roebuck will be speaking about "Ten Years of Experience with the Africa Foreign Studies Program." Sponsored by Dartmouth’s Environmental Studies Program, this FSP brings 16-20 students to South Africa, Namibia, and Lesotho for a 10-week term. Prof. Roebuck will speak about the synergies of the Dartmouth undergraduate education, study abroad, environmental studies, and medicine. He may also be joined by a current Dartmouth undergraduate who has participated in the FSP and who can give a fresh look at student life at both the College and abroad.